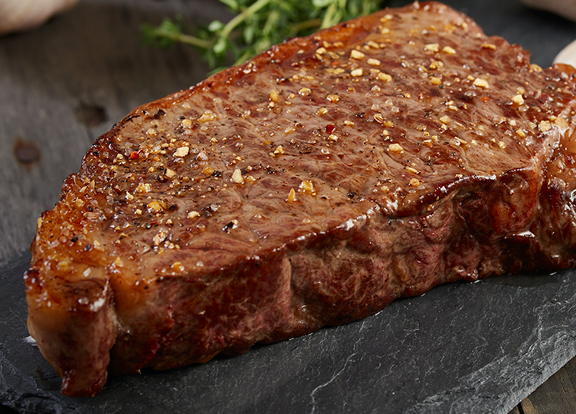 Searing meat gives it a more concentrated, intense and complex flavour. Meat correctly seared will give it a golden and caramelized crust as pictured here but more importantly will give the meat the intense flavours and aromas you want. To help sear meat before cooking, remove as much water from the surface of the meat as possible before cooking it via blotting or drying it at low temperature.